PU (polyurethane) outsole is medium hard, black, durable, lightweight and resistant to wear. 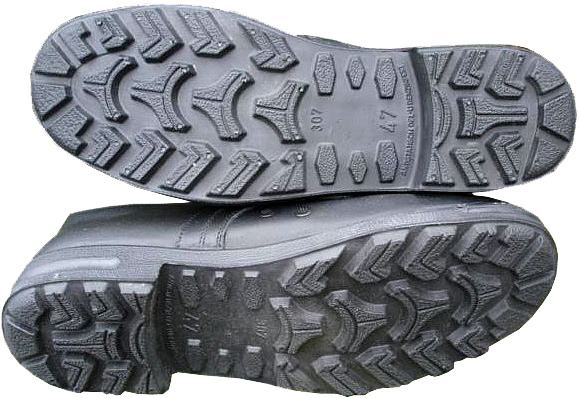 Deep tread pattern, as well as the sole construction were designed by the manufacturer independently and does not copy the ideas of any other companies. The inscription on the outsole says: "ANTISTATISCH, OEL U. BENZINFEST", that means "Non-conductive (anti-static) and oil-petrol (gasoline)-resistant". Also these outsoles are acid-, alkali- and wear-resistant. 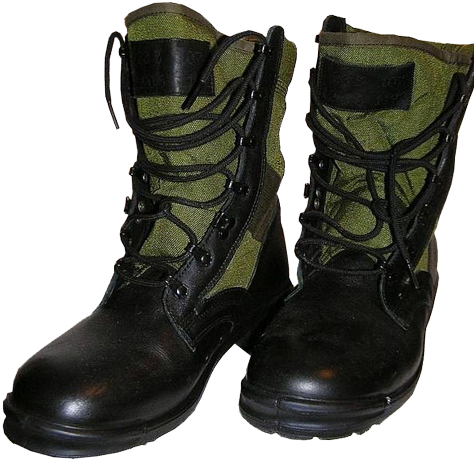 The footwear lacing accessories include one locking hook-clamp and six speed lacing "MARK" eyelets, the same as in the "desert" boots and "jungle-boots" from "BALTES" company. 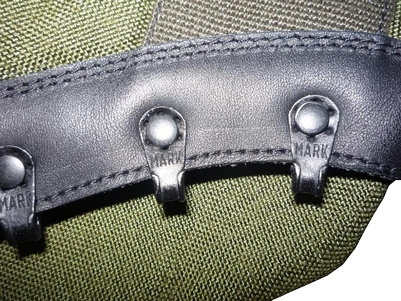 The eyelets by "MARK" are also used in the footwear of the armed forces of UK, Denmark, the Netherlands and some other countries. A rectangular leather patch of sand or black colour is sewn on the tongue indicating the boot size in "Mondopoint" system (e.g. 277 194) and the width. This information is shown in the in the upper row. In the lower row the four digits with the month and the year of manufacture (e.g., 0406 means April 2006) and the manufacturer's code, usually consisting of 2-4 digits, are indicated. All these numbers are pricked out by small dots. 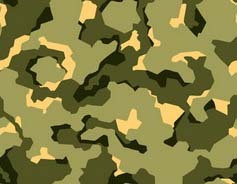 The flap of the "jungle boot's" tongue is closed (sewn to the top of the tongue over the entire height of the boots) in order to protect the feet from dust, sand and other small particles, similarly to the "desert boots". We should also mention another kind of the same type German boots, which, on the other hand, can not be unambiguously attributed to the desert or tropical boots. 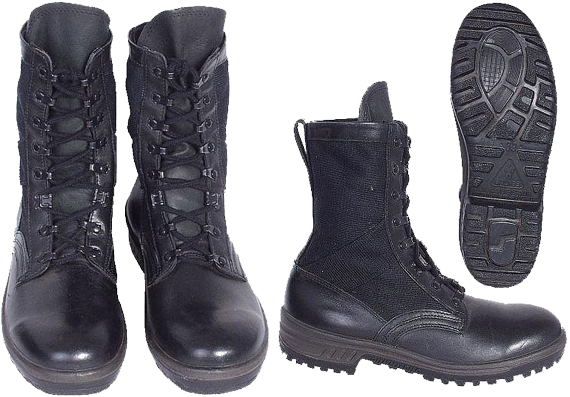 We are talking about the police and special forces boots, designed for use in urban environments and indoors. With a certain similarity with the German jungle boots, they differ in a number of features: colour (black), materials, some details of construction and the outsole are very different. The outsole is multi-layer in construction, direct-mold, it's more "streamlined" and soft, without sharply protruding hooks tread. 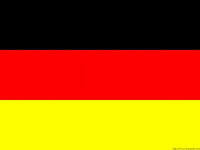 It is made of nitrile rubber ("Nitrilkautschuk-Sohle" in German), as well as brothers-in-class, it is antistatic and resistant to oil, petrol (gasoline), acid, alkali. These outsole is wear-resistant too. But these advantages have their "dark side": if this material if not properly stored (in dry hot places or even in the sun), it should crack from drying out. This is the reverse side of the convenience and flexibility of nitrile rubber. The boot-top is made of black polyamide, which is softer in touch, the welt on top is padded with leather "collar", the tongue is made of leather and is higher in length, thus providing additional protection for the lower front side of the feet. 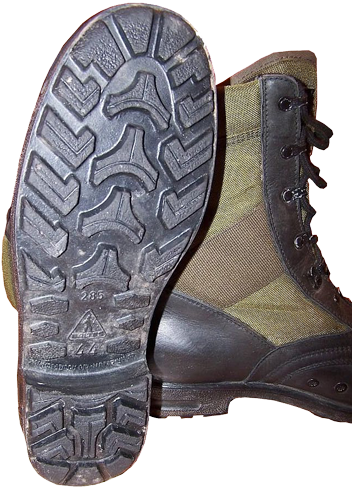 Similarly to Bundeswehr desert and Jungle boots, the tongue of each boot also features a rectangular leather label (patch) with indication of size and fullness, month and year of production, and the code of manufacturer. The lacing accessories feature "speed-lacing system". In comparison with German jungle and desert boots, these boots have an additional pair of eyelets (seven "MARK"-labeled eyelets + hook clamp for laces). All of the abovementioned boots by "BALTES" company are lightweight and sturdy, comfortable and practical, with well-fixed ankle protector that provides good adhesion to most surfaces. General construction and design allow favorable microclimate for feet and comfort in use.